BCCI treasurer Chaudhry has also suggested immediate suspension pending inquiry, but if found guilty the CoA should follow the precedent it set in the cases of Steven Smith and David Warner, who were banned from the IPL for a whole season for their involvement in ball-tampering in South Africa. 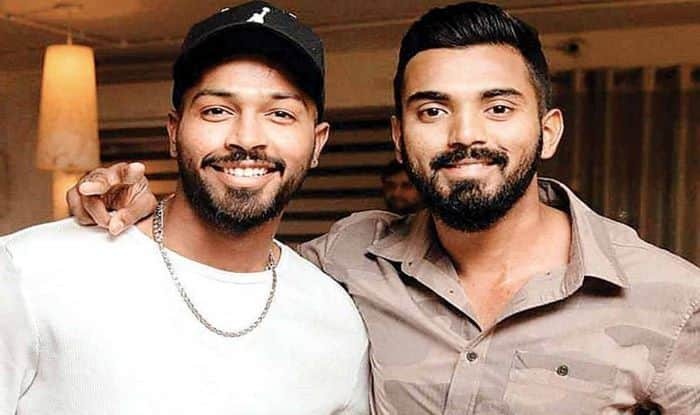 After landing themselves in a thick soup for their shameful and sexist comments on a popular TV show – Hardik Pandya and KL Rahul are likely to be suspended by the BCCI. The two players were issued show cause notices over their comments on national television which created a huge stir on social media. It is believed that the top bosses of BCCI have already made up their mind and decided on the action, with the quantum of punishment yet to be fixed. Pandya and Rahul appeared on the talk show on Sunday where their comments – Pandya’s in particular – came in for widespread criticism and raised concerns over the team culture. As per the reports of ESPNcricinfo – Vinod Rai, one of the members of the Committee of Administrators is in favour of a two-match ban. While BCCI treasurer Anirudh Chaudhry has pushed for a stronger penalty should the players be found guilty of bringing game and Indian cricket into disrepute. There is even a view that the punishments for the two differ according to what each of them said on the show. Chaudhry has also suggested immediate suspension pending inquiry, but if found guilty the CoA should follow the precedent it set in the cases of Steven Smith and David Warner, who were banned from the IPL for a whole season for their involvement in ball-tampering in South Africa. The BCCI treasurer also raised concerns about the permissions taken by the players before appearing on the show. “As far as the quantum of the punishment is concerned if the players are found guilty as per the procedures laid down in the Rules and Regulations, keeping in view the above factors and discussions, a two-match suspension seems to be merely a stop-gap arrangement especially considering that the CoA had banned Mr. Smith and Mr. Warner for a season,” Chauhdry wrote. “The players must be immediately suspended pending a proper inquiry and must be allowed to join the team (if selected) only once they have gone through a proper sensitisation in addition to serving a ban, if imposed upon them. Captain Virat Kohli said the Indian team doesn’t stand by Hardik Pandya and KL Rahul for making “inappropriate” comments on women during a TV show but insisted that the controversy won’t affect the dressing room morale. Kohli said that the availability of both Pandya and Rahul for the ODI series against Australia would depend on any action that the BCCI might take on Friday. “From the Indian cricket team point of view, any inappropriate comments that are made in that scenario are something that we definitely don’t support. We definitely as the Indian cricket team do not support views like that and that has been communicated (to the two players),” said Kohli on the eve of the ODI series opener. “Definitely it has to hit anyone hard, they will definitely understand the things that have not gone right. We are still waiting for a decision to be made,” he concluded.